The 2017 BEDSAs campaign that we ran significantly outperformed that of the previous year in many ways. This has had direct impact and created a legacy for the brand and everyone involved in the awards. Within the four-month campaign we generated 45,476 Twitter profile visits, 1700 retweets and over 3000 likes and replies. Furthermore, our top performing tweet generated 4,600 engagements and over 1100 Twitter accounts used the event hashtag of #BEDSA2017. The Facebook page tripled in 'likes' and we received over 15,000 engagements with an audience reach of 590,000. The total number of Facebook impressions exceeded 750,000, over four times that of the previous year's awards. Our Instagram posts and user-generated content reached a minimum of 11,200,000 people. 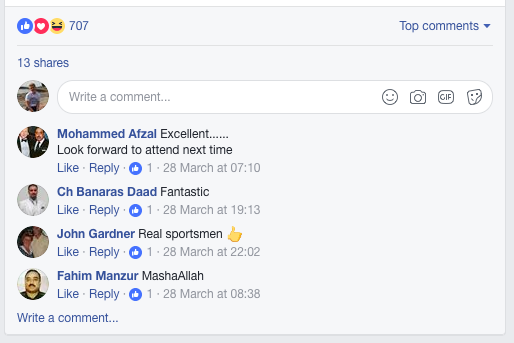 Positive comments and reactions to the BEDSAs follow up on Facebook. 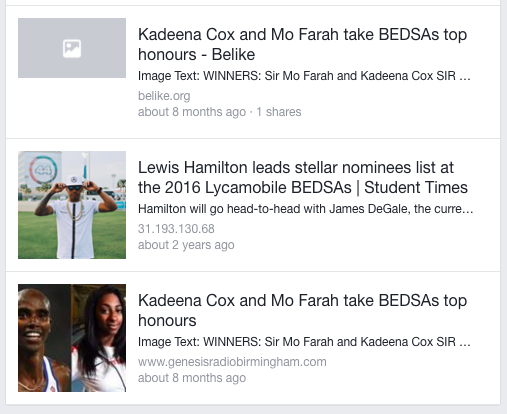 Facebook news stories appearing when searching include the Kadeena Cox and Mo Farah coverage and Lewis Hamilton as headliner of nominee list. 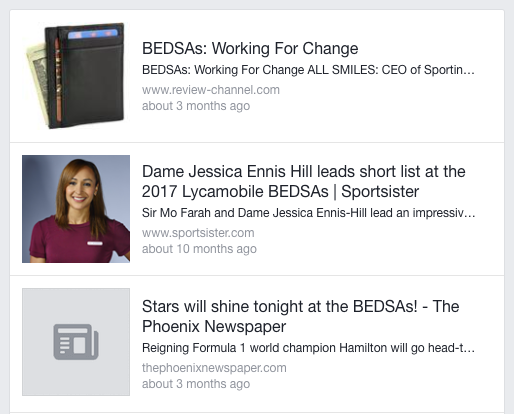 Facebook news stories appearing when searching include the Working For Change Group, Jessica Ennis Hill and the Phoenix Newspaper coverage. 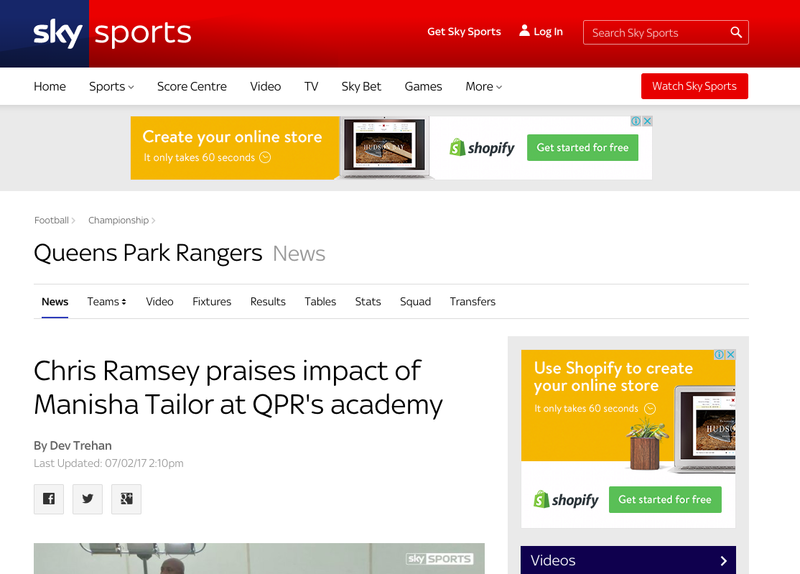 By researching and approaching journalists and using our skills in social media research and engagement, we secured over 62 million press impressions, including coverage from Sky Sports, the Metro, the Telegraph and BBC News’ homepage. The equivalent media value was approximately £536,000, across 72 press pieces, 25 of which were published after the awards. 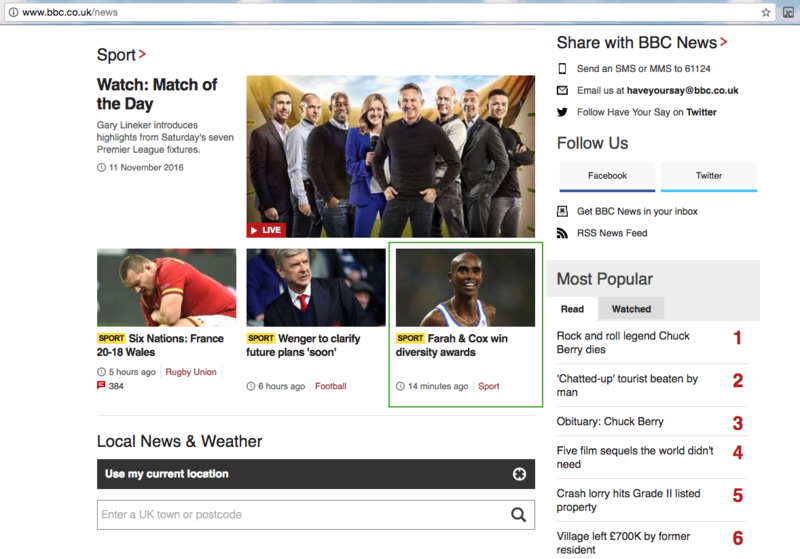 We appeared on the BBC News homepage the morning after the awards. 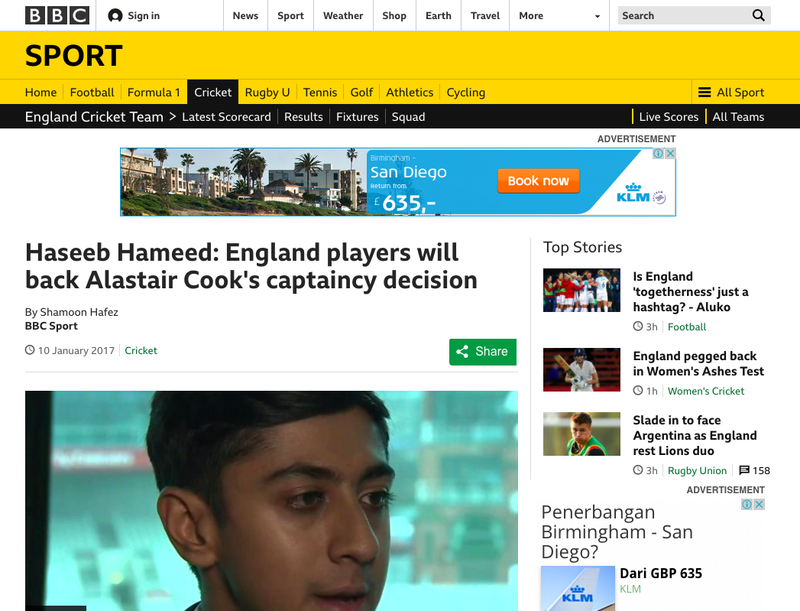 PR VALUE: £14,000, PR IMPRESSIONS: 1,610,000 "Hameed, 20 on Tuesday, has quickly established himself as role-model material for English cricket and beyond. 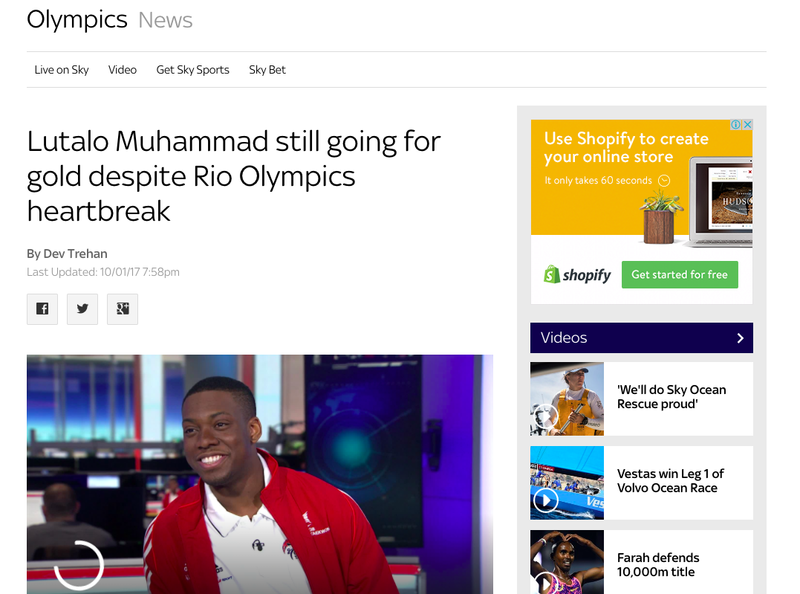 This week he was nominated for the Young Sportsperson of the Year Award at the Lycamobile British Ethnic Diversity Sports Awards." 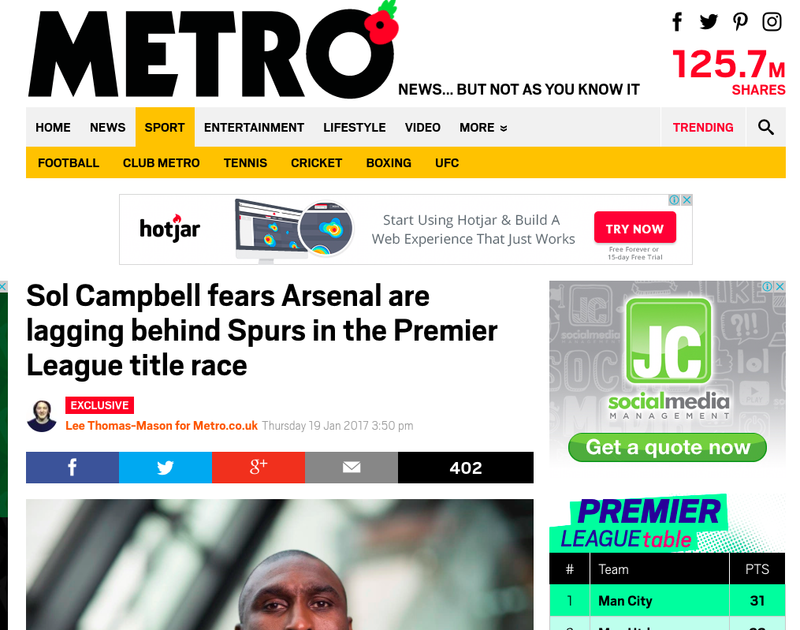 PR VALUE: £10,000, PR IMPRESSIONS: 1,150,000 "Sol Campbell was talking top Metro.co.uk at the Tennis Foundation, Sporting Equals and British Ethnic Diversity Awards morning at North London Muslim Community Centre"
PR VALUE: £15,000, PR IMPRESSIONS: 1,725,000 "Sir Mo Farah and Dame Jessica Ennis-Hill headline an impressive group of sportsmen and women nominated for the third LycaMobile British Ethnic Diversity Sports Awards." 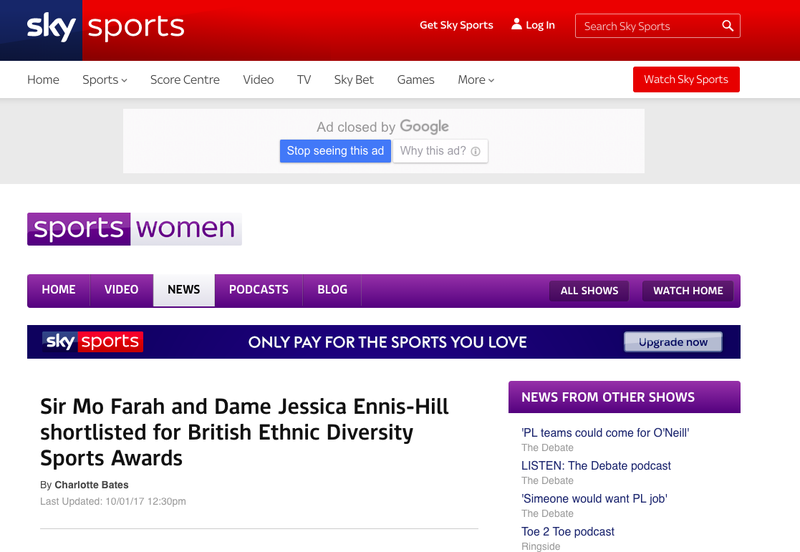 PR VALUE: £15,000, PR IMPRESSIONS: 2,000,000 "They are organised by Sporting Equals, whose chief executive Arun Kang said the purpose of the awards was to "celebrate diversity at both an elite and grassroots level"." 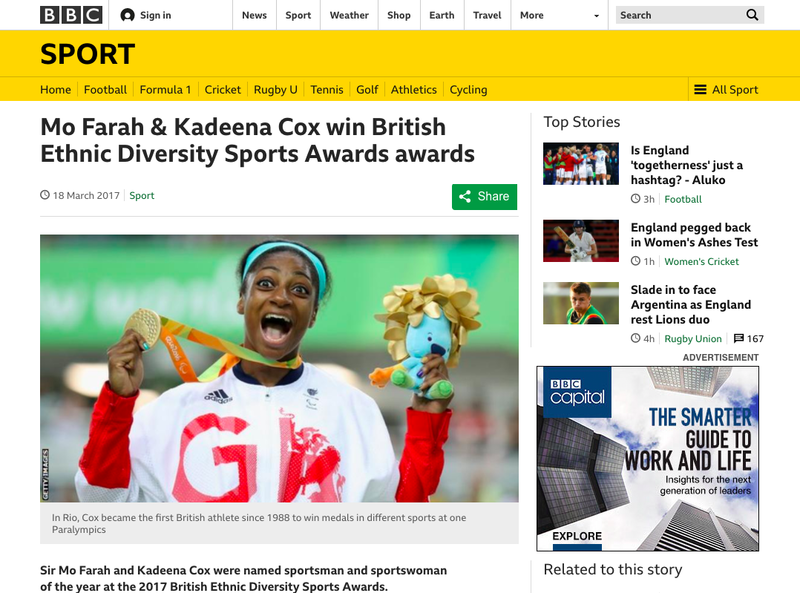 PR VALUE: £15,000, PR IMPRESSIONS: 1,725,000 "Hameed, nominated as young player of the year at the British Ethnic Diversity Sports Awards (Bedsa), told BBC Sport:"
PR VALUE: £15,000, PR IMPRESSIONS: 2,000,000 Sky Sports: "Muhammad has been shortlisted for the coveted Sportsman of the Year award at the forthcoming British Ethnic Diversity Sports Awards alongside Sir Mo Farah, Olympic rowing gold medallist Mo Sbihi and England rugby flanker Maro Itoje." 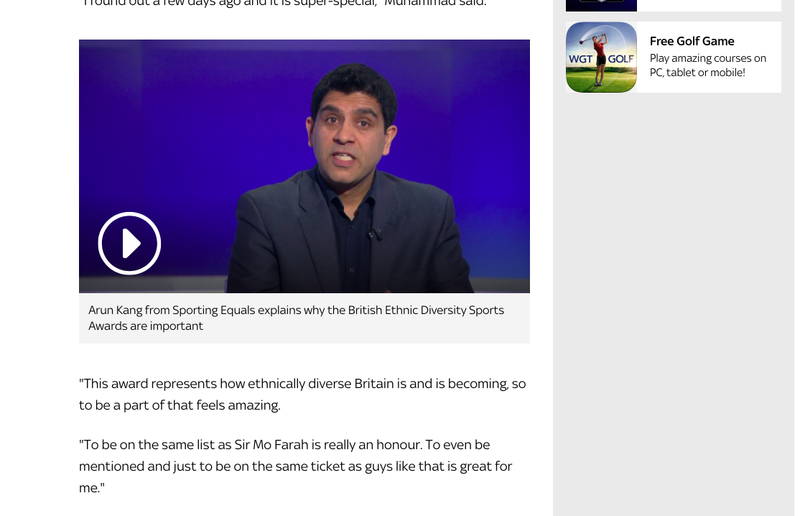 PR VALUE: £15,000, PR IMPRESSIONS: 2,000,000 Sky Sports: "Arun Kang from Sporting Equals explains why the British Ethnic Diversity Sports Awards are important." 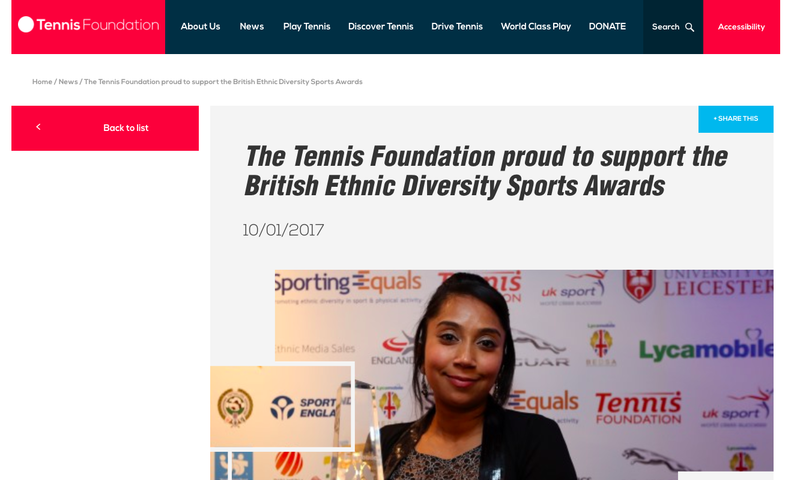 PR VALUE: £500, PR IMPRESSIONS: 50,750 "The Tennis Foundation is once again proud to support the British Ethnic Diversity Sports Awards as sponsor of the Tennis Foundation Special Recognition Award." 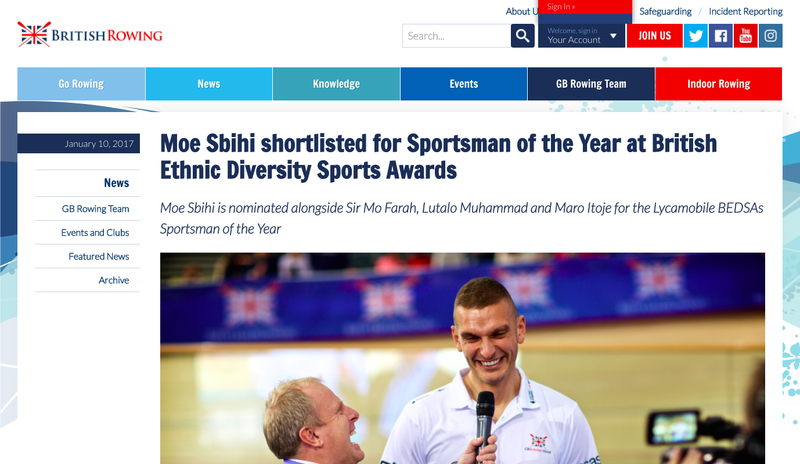 PR VALUE: £500, PR IMPRESSIONS: 50,750 "The success in 2016 of Moe Sbihi has been recognised by the British Ethnic Diversity Sports Awards, with the Olympic champion nominated for Sportsman of the Year." PR VALUE: £15,000, PR IMPRESSIONS: 1,897,500 "Sponsored by mental health charity Mind, the inaugural BEDSA Wellbeing award recognises the contribution of an individual, project or programme to improving people's mental wellbeing through sport and physical activity." 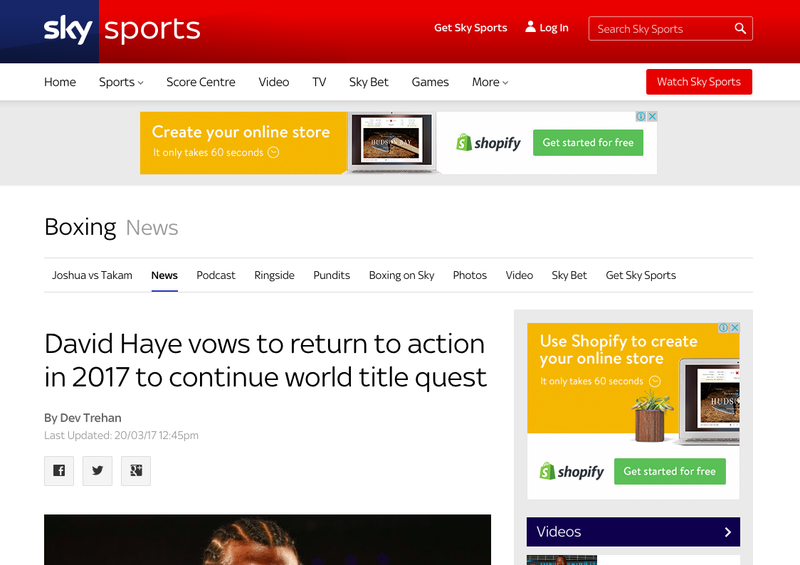 PR VALUE: £15,000, PR IMPRESSIONS: 2,000,000 "Boxing is a tough way to earn a living but some of us are born for this and I believe I am," Haye told Sky Sports during an appearance at the Lycamobile British Ethnic Diversity Sports Awards [BEDSAs]." 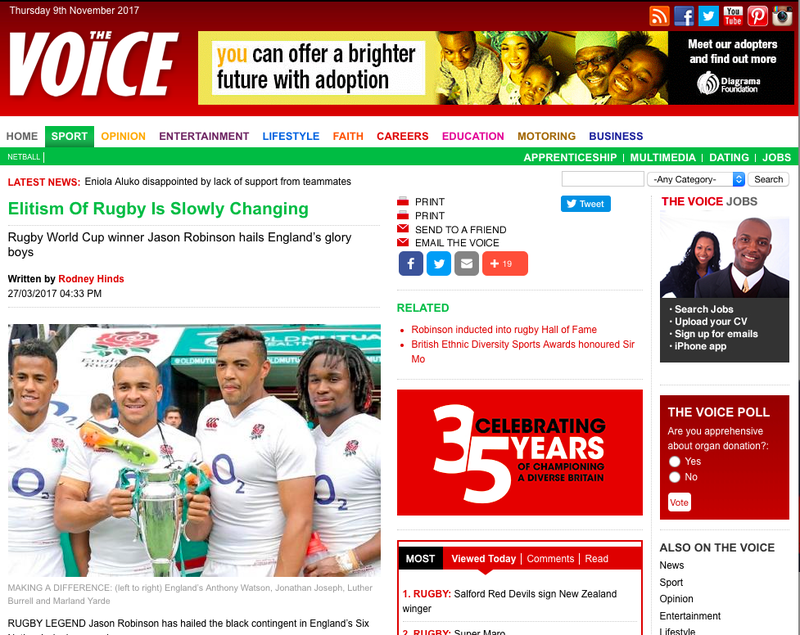 PR VALUE: £4,000, PR IMPRESSIONS: 460,000 "Leeds-born Robinson, a former dual-code international rugby league and rugby union player of the 1990s and 2000s, was speaking at the recent British Ethnic Diversity Sports Awards (BEDSAs) held in central London where he collected the Lifetime Achievement award."